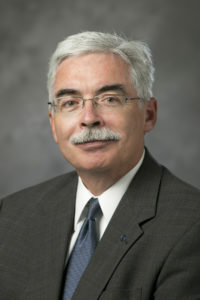 Wes Brown joined moss+ross following a 36-year career in fundraising with the Divinity School at Duke University where he held titles from director to associate dean. A veteran of three comprehensive Duke campaigns, an initiative for new scholarship endowments, and a building addition, Wes and his colleagues have been involved with gathering $319 million in contributions from individuals, foundations, and church-related organizations. A native of North Carolina, Wes was educated at Methodist College (B.A., 1973) and Duke University Divinity School (M.Div., 1976). He was recognized for his work in philanthropy and awarded the honorary Doctor of Divinity degree by Methodist College (now Methodist University) in 2001. As an ordained elder in the North Carolina Conference of the United Methodist Church, his first vocation was service as a pastor for five years in both urban and rural churches prior to his appointment to Duke in 1981. He was a fellow with The Program for New Development Officers for Theological Education, 1981-82, funded by Lilly Endowment. His work over decades in the Divinity School involved every aspect of external relations and development, ultimately focusing on major philanthropic projects and planned giving. Wes Brown maintains a heartfelt concern for the education and support of men and women who seek to be faithful Christian disciples in the life of the church and the world. He understands the role of strong, vital institutions as they form and inform leaders for the greater good. He is an active churchman who teaches an adult Sunday School class each week at Epworth United Methodist Church and enjoys occasional opportunities as a guest minister in other parishes for preaching and celebrating the sacraments. Wes was a Trustee for nine years with The Alban Institute, an organization dedicated to strengthening faith communities, based in Washington, D.C. He served for eight years on the Board of Directors for the N.C. Methodist Homes for Children, Inc. and for thirty-six years on the advisory board for the Parish Ministry Fund based in Charlotte, N.C. He has also directed the summer Ministerial Course of Study School at Duke where he is a faculty member. He is an occasional consultant in development for theological education, and he has served as a keynote speaker, program director, and member of advisory boards with The Association of Theological Schools in the US and Canada since 1981. He has written articles over the years for News & Notes, Divinity and In Trust magazines. For more than 40 years Wes has been married to the former Jane Noel Gouldin of Norfolk, Virginia, a retired registered nurse. They have two adult sons and a granddaughter. He enjoys hiking, reading (usually history), travel, kayaking, and the company of many friends.